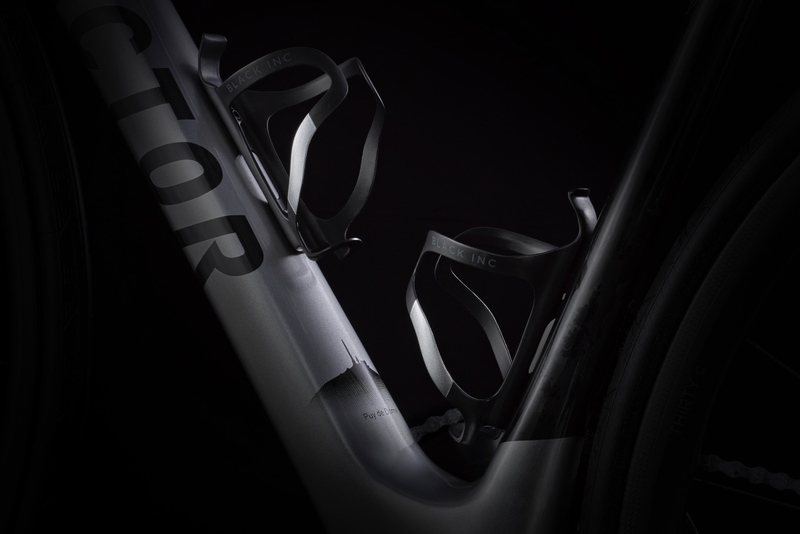 FACTOR Bikes has pulled the veil off its newest limited-edition framesets. The O2 Bardet Limited-Edition and O2 Champs-Élysées chassis have unique colorways and will be limited to just 200 and 100 pieces, respectively. 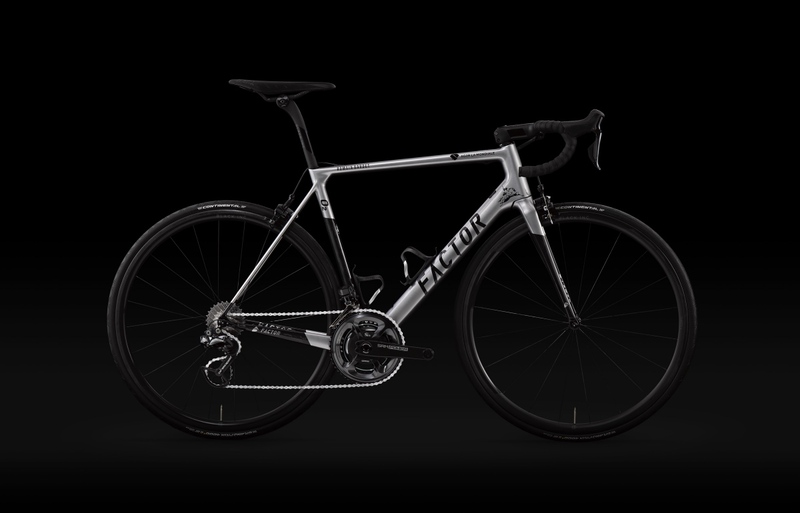 Like last year at the Tour de France, FACTOR collaborated with AG2R La Mondiale captain Romain Bardet to create a unique bike that (they hope) will propel him to the top step of this year’s race. 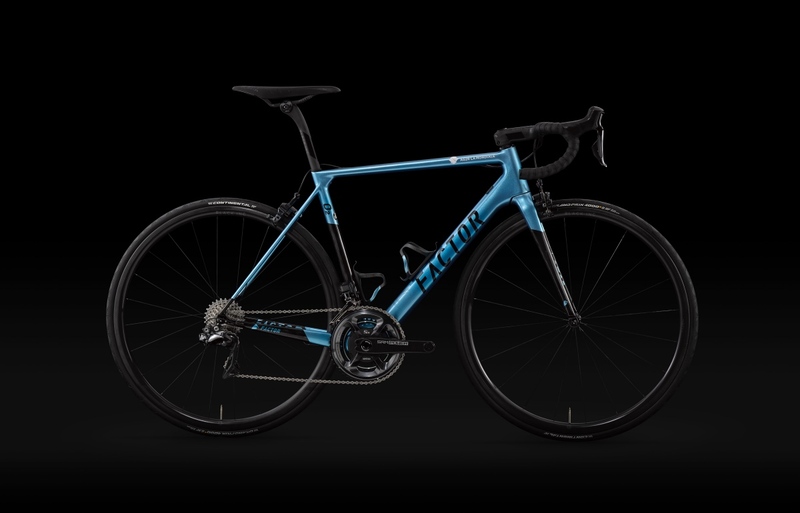 But for this year’s Tour, all of the AG2R riders will also be aboard limited-edition bikes, the O2 Champs-Élysées. 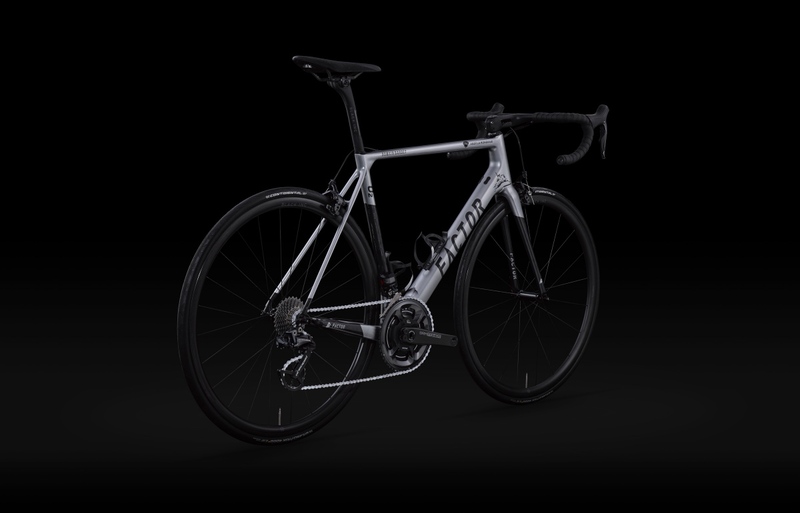 Each of the two special edition bikes will be available as a rim or disc brake chassis and will come with color-matched Black Inc water bottle cages and painted-to-match Black Inc one-piece Barstem, in addition to FACTOR’s standard chassis spec with a Black Inc seatpost, and CeramicSpeed headset and bottom bracket. Limited to 200 pieces, the O2 Bardet Limited-Edition was designed in collaboration with the French cycling star with twofold goals of raising funds and awareness for the Romain Bardet Children’s Charity and inspiring Bardet with a colorway unique to him. A portion of all proceeds from 02 Bardet chassis will be donated to his charity. The leading edge of the frame sports an illustration of Vercingetorix who is a local hero in Bardet’s home region of the Auvergne, where Vercingetorix united Gallic people against Julius Caesar and fought back – stopping Caesar advancement. On the downtube is the silhouette of the Puy de Dome, the dormant volcano visible from Bardet’s home in Clermont-Ferrand. 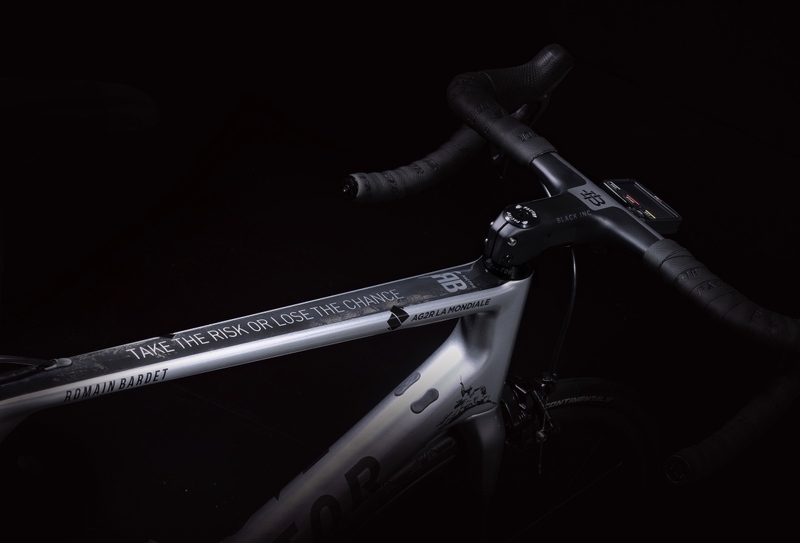 Finally, the plaque behind the bottom bracket sports Bardet’s signature and a limited edition build number between 011 and 200. In addition to being available as a chassis, 10 O2 Bardet frames will also be available as a complete replica of Romain Bardet’s Tour de France bike, with a parts spec nearly identical to what Bardet will ride in the Tour. 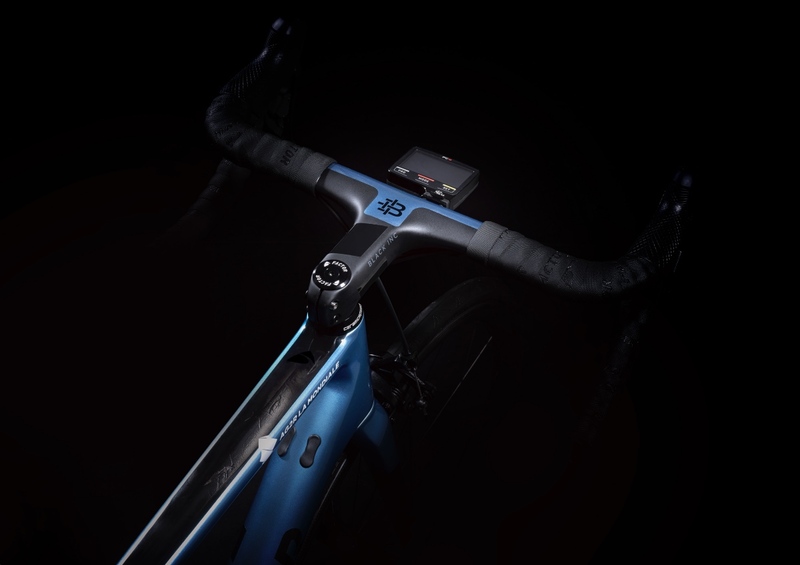 The replica bikes will be frame numbers 001 through 010 and in addition to the Dura Ace group, SRM carbon cranks, SRM PC8, and Mavic Cosmic Ultimate wheels, each bike will come with a pair of Mavic Comete Ultimate shoes in a livery to match the frame and a jersey signed by Romain Bardet. 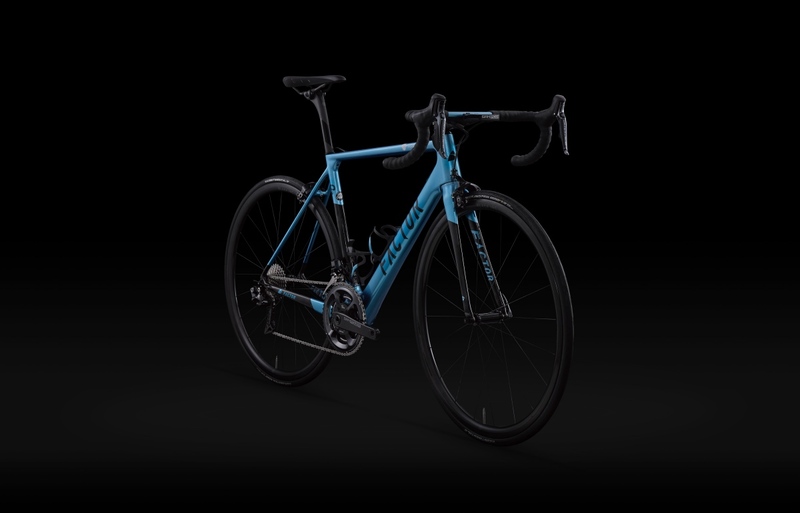 Similar to the O2 Bardet, the O2 Champs-Élysées chassis shows carbon fiber through its clear-coat, in addition to the celestial blue metallic paint. 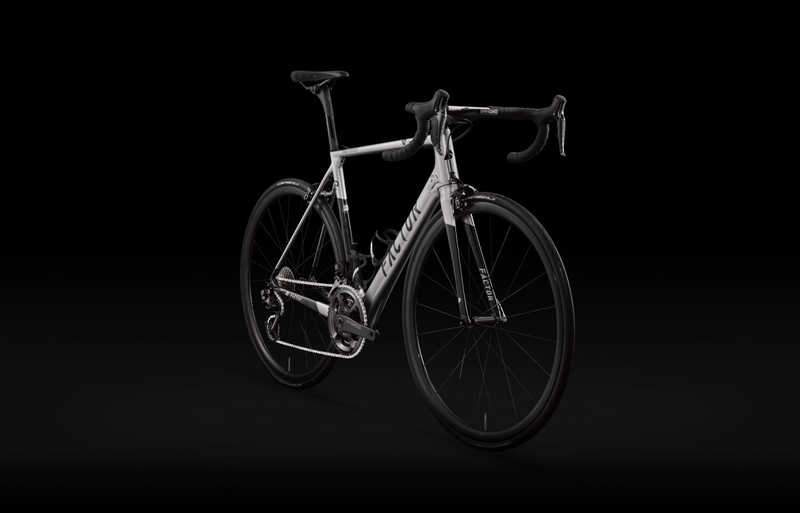 The O2 Champs-Élysées is limited to just 100 pieces, and like the O2 Bardet, it’s available in either a disc or rim-brake spec with painted-to-match Black Inc Water Bottle Cages and a Black Inc Barstem, in addition to the other finishing bits from CeramicSpeed and Black Inc that are standard on all FACTOR chassis. 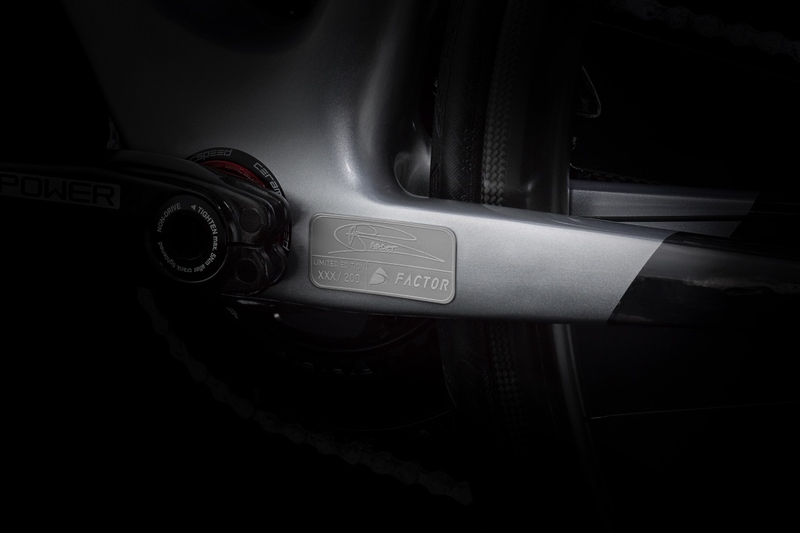 For more information visit factorbikes.com.